Merry Christmas to you! 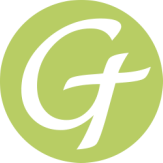 Thank you for entrusting your child to us throughout this year. We celebrate with you and your family the joy of Jesus’ birth. 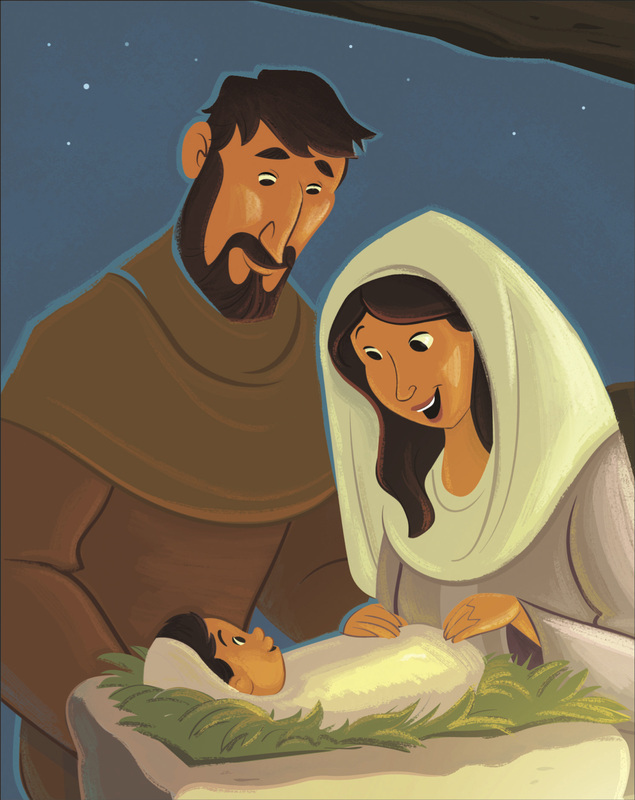 This week’s story in The Gospel Project for Kids was all about Jesus’ birth. 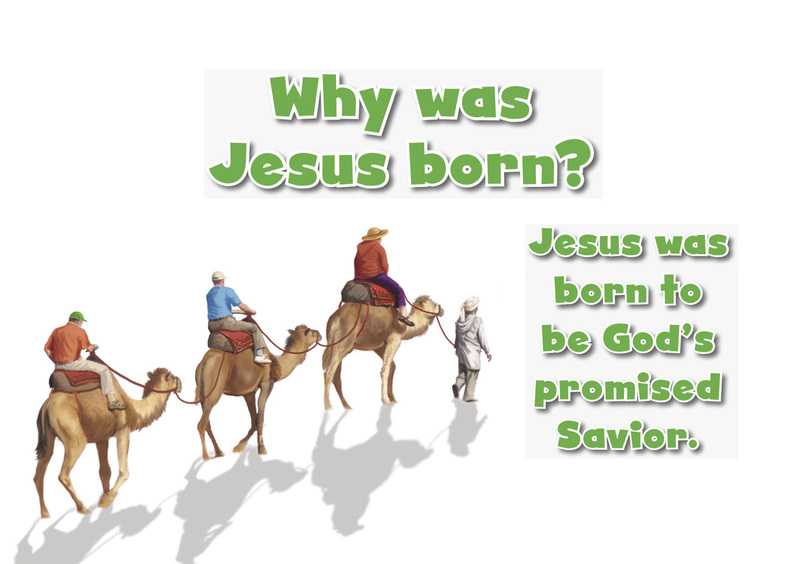 When God sent Jesus to earth, He was born of a virgin, fulfilling Isaiah’s prophecy. As you celebrate, recount for your kids the joyous news the shepherds shared. Help your kids understand the importance of sharing that wonderful news with others. Talk about the humble beginnings of our Savior, Jesus. Pray with your family, thanking God for sending His Son, Jesus, to be the Savior of the world. During the time Mary was pregnant with Baby Jesus, the Roman emperor, Caesar Augustus, announced that everyone needed to be registered for a census. Every person traveled to the town where his family was from. Since Joseph was a descendant of King David, he and Mary left Nazareth and traveled to Bethlehem, the city of David. While they were there, the time came for Mary to have her baby. Mary and Joseph looked for a safe place for Mary to have her baby, but every place was full because of all the people who were in town to be counted. So Mary and Joseph found a place where animals were kept, and that is where Mary had her baby, Jesus. She wrapped him snugly in cloth, and she laid him in a feeding trough, where the animals ate their food. In the same region, some shepherds were staying out in the fields and watching their sheep to protect them from thieves and predators. All of a sudden, an angel of the Lord stood before them. A bright light shone around the shepherds, and they were terrified! But the angel said to them, “Don’t be afraid! I have very good news for you: Today a Savior, who is Messiah the Lord, was born for you in the city of David.” Then the angel said, “You will find a baby wrapped snugly in cloth and lying in a feeding trough.” A king in a feeding trough? That was no place for a king! who heard about Jesus was surprised and amazed. Mary thought about everything that was happening and tried to understand it. The shepherds returned to their fields, praising God because everything had happened just as the angel had said. 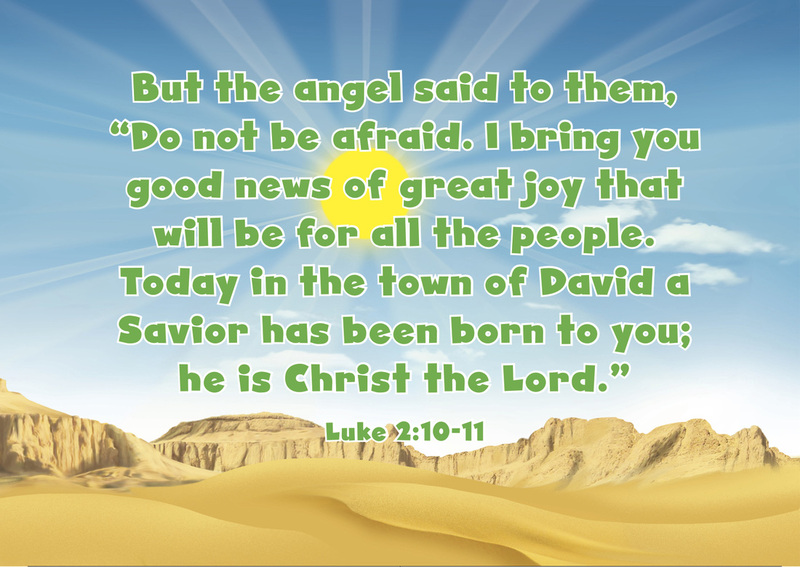 Christ Connection: The birth of Jesus was good news! Jesus was not an ordinary baby. He was God’s Son, sent to earth from heaven. Jesus came into the world to save people from their sins and to be their King.